Laminate is one of the most popular options when it comes to low-cost flooring. It's often great for areas that don't spend a lot of time near water. While many laminate options are water resistant, they don't tend to be waterproof so it's important to be careful around them. 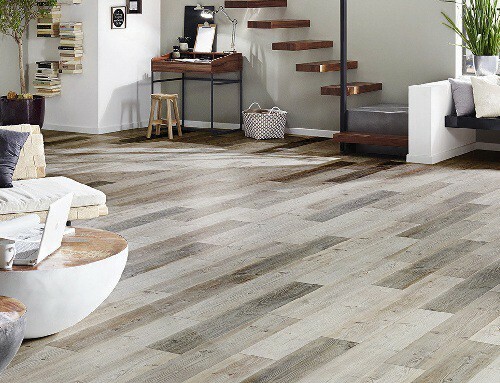 In this article, we're going to help you with choosing the ideal laminate flooring for your needs by taking a look into five great options. Each option on this list has benefits that can really suit the different kinds of situations you may need flooring for. Happy shopping! Determining your laminate flooring should begin with deciding on what style you’d like your floor to be. Do you want the appearance of natural material, or do you prefer the look of manufactured materials such as metal? Identifying your room’s look is the best place to start. Who Benefits From Laminate Flooring? What’s the Best Laminate Flooring? For those who want the real look of wood without the high cost, this is a great option. It's a great inexpensive way to get new flooring at a lower cost. It's also water resistant, so you won't need to worry too much about spills that can occur. This is one of the thicker low-cost options, which means you won't have to worry as much about the damage that can occur with thinner types of laminate flooring. It also uses a click-lock system for installation, which makes it very easy to install in your home without the need for a professional. This flooring offers a great look that will surely liven up any space you place it in. It offers a great finish with a little added protection against common forms of damage. Finally, it's also very easy to install without the need for glue or other messy products. Like most other kinds of laminate flooring, this option is water-resistant but not fully waterproof. Because of that, it will still be important to make sure any water that gets on the surface is cleaned up quickly to avoid serious damage. For those looking for a more vintage look, you can't go wrong with this flooring. 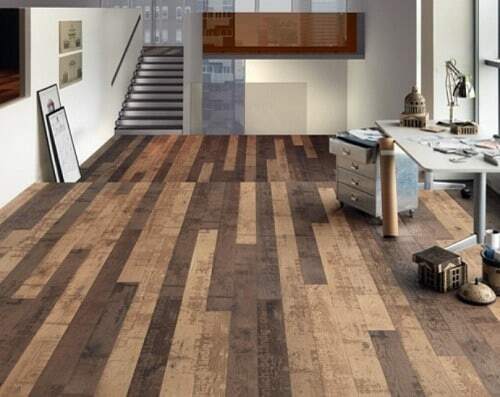 It has the appearance of a rustic barn floor without the actual damage or wearing involved in the look. It offers a great unique product that can really create a decorative look in just about any space. With 22 square feet per box, this lower-cost option is great for those who want a look that really stands out. It offers a great 8mm thickness that will surely be more durable than options with thinner designs. Furthermore, it's going to be easy to install using the click and lock process that doesn't require many added products or those that can create a complicated mess. This option is one that really provides an individualized look when compared to many other options on the market today. 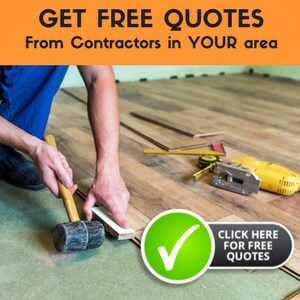 It's also easy to install, which can save you a lot of money over having to call in a professional to get your new flooring put in. Many people have also found the customer service provided with the product is excellent. Something that customers may not notice from the pictures is that the actual product can have a bit of a green tone to it rather than being purely white. The unique look may also not combine well with other décor in the home in all situations. If you like an inexpensive, worn wood look, then this is a great way to go. 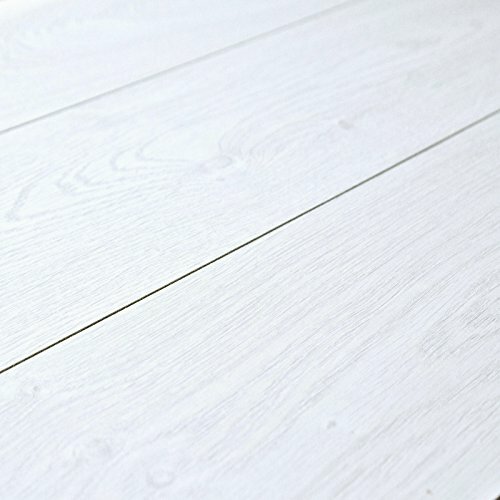 It offers the look of real silvered oak without the price or required care of real wood floors. Overall, it's a great way to go if you want a thicker, authentic looking option at a budget-friendly cost. The textured, beveled finish on this flooring offers a great look that will pull together just about any space. It's about 12.33mm in thickness, which means it's likely to be more durable than other options. You'll also get a little over 23 square feet pet box. This flooring offers a great rating as well as an easy method of installation, so you won't need glue or a professional. It also offers a great look that is surely going to impress anyone who enters the room. 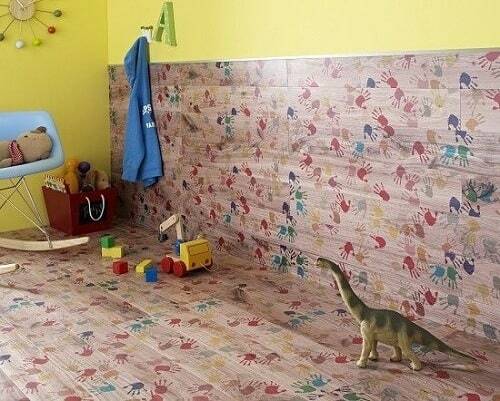 This flooring isn't waterproof, so it may not be the best option to use in a bathroom or kitchen. Too much water can cause serious damage that will result in areas needing to be replaced. If you're looking for a lightly-colored wood option, this laminate is a solid choice. The stonewash color of this affordable option is great for bringing light into a space. 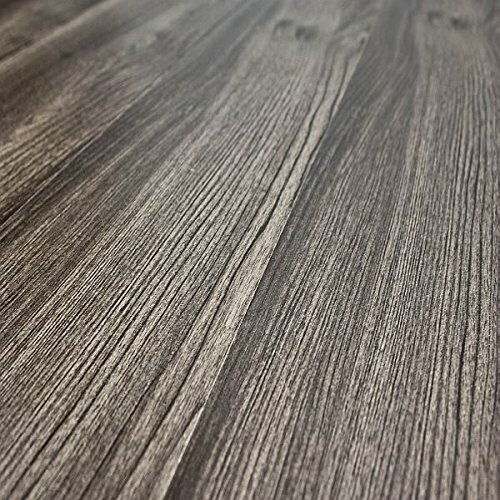 If you prefer a wood option with a lighter color, then you may find that this stonewash laminate is a fantastic option. It's 8mm in thickness, which means it's likely to be durable but not quite as durable as 12mm options. Furthermore, the click-lock system will make it easy to install. One excellent aspect of this option is that in includes a lifetime warranty, so you'll be able to enjoy the flooring for a long time. It also has a great overall look that can add some flair to just about any space you need. Depending on your budget, this option may not be as ideal as others because it may be slightly more expensive. It can also succumb to water damage if it is frequently subject to spills or other moisture. For those who want the real look of wood without the high cost, this is a great option. It's a great inexpensive way to get new flooring at a lower cost. It's also water resistant, so you won't need to worry too much about spills that can occur. With 8mm of thickness, you can expect quite a bit of durability from this option. If you want more, you can always look for a thicker underlayment to add in under the flooring as well. For each box, you'll be able to get just under 23 square feet of flooring. This choice is water resistant, so it will be less likely to obtain damage than some other options, but it will still be a good idea to keep spills cleaned up as best you can. It also offers a great look that will really bring light into the room. Because the coloring of this flooring is so light, it may be more prone to showing dirt and pet hair, so it will be important to keep it clean. It's also not fully waterproof so you'll need to make sure it doesn't absorb too much moisture. In these modern times, a homeowner has a variety of options to choose from when they are trying to pick a flooring. It’s no longer just wood or carpet. Because of this, it is not uncommon to receive questions about which flooring options are good and which are not. And when it comes to your home, nothing can ever be too good. If you speak with a manufacturer, they will likely tell you that they back their floors with warranties up to 15 or even 30 years. Why? Because they are durable. Laminate is made of four different layers of different types of wood and a melamine resin that is put on the bottom and the top layer. Because of this it is very resistant and will not fade when sunlight or any artificial light hits it. When I say easy, I mean it. Installing a laminate floor is remarkably easy and simple. In fact, it’s so simple that you can do it in a day. It can even be installed directly over your old floor, meaning less work for you. They also have no imperfections or defects like real hardwood can often have. Not only can you get laminate that imitates the look of wood, but also laminate that looks like ceramic or stone, something that is unique and cost-effective. Because the options are so varied, it is incredibly easy to find a type that fits perfectly with any room and any décor in any home. One of the many options that you will be faced to choose from is laminate flooring, but you might still be wondering whether or not it is the right option for you. 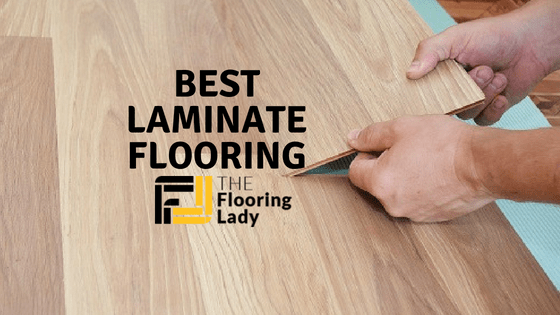 Because of this, I encourage you to look at the pros and cons of laminate flooring to see whether this flooring option is the best option for you and your home. **Note: Laminate flooring is one of the more popular choices for U.S. homes. Laminate also happens to be a fraction of the price compared to other flooring options. This may not be a factor for some people, but if you are on any kind of budget, it can help to have an option that costs significantly less while still looking nice to anyone who comes to your home. Because it is merely placed right over another flooring and there is only a foam underlayment, this floor can often feel very hard underneath your feet, causing many to be unhappy. On a similar note, it will not give insulation to a room unlike carpet flooring. Because it is not real wood, it does not look like real wood close up. For some this is not worth their money. Since it costs a lot less than other floors, especially real hardwood, it can bring down the resale value of your home or look a little cheaper than real hardwood flooring. Real hardwood floors can be sanded and refinished to keep it looking nice and new. However, if you purchase laminate flooring you are not able to do this, since it only has a very thin layer of the actual wood. If you damage any of the planks of a laminate floor you have to remove them and install new ones. This is common for hardwood floors as well, but laminate tends to be susceptible to damage by warping or staining. Every pro and every con is entirely valid and should certainly be considered. The truth is, it comes down to what type of home you have, what type of budget you have, and what type of floor you really want. However, my consensus is that laminate flooring a great option because it is used extensively and it is affordable. This may not be something that you are concerned with, but for the average homeowner, considering a budget is a necessary factor to consider when purchasing a floor. Laminate is cheaper than using real hardwood and it still looks very nice. And it is always nice to know that you can install it on your own with incredible ease. Laminate flooring is not the choice for everyone, and that’s okay. However, you can’t deny that it’s a floor worth considering. For many years, natural materials such as wood, bamboo, stone, and hand-made tiles offered the only viable flooring choices. 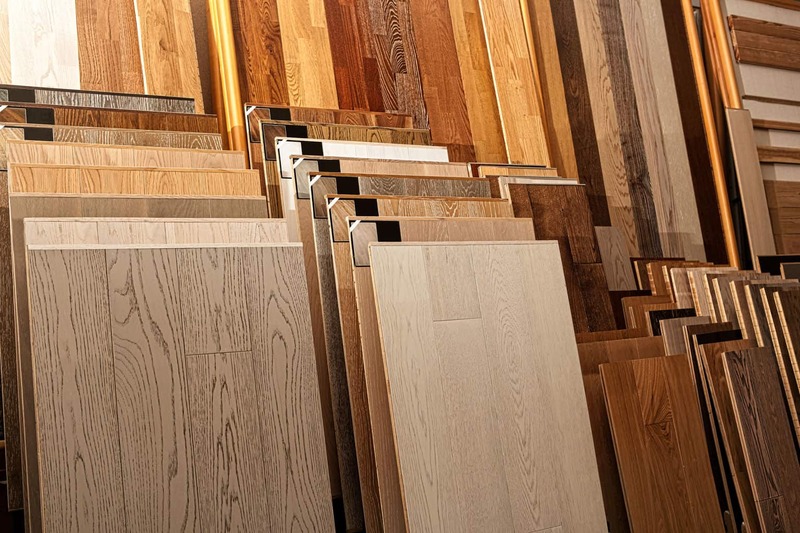 As technology and innovation progressed, synthetic varieties such as laminate flooring entered the mainstream. Although laminate flooring became a popular flooring alternative shortly after its debut, the flooring was rather limited in its designs. Over the last several decades, laminate flooring has expanded in numerous ways, making it one of the most affordable and versatileflooring choices on the market. Today, laminate gives homeowners a way to replicate the looks of virtually any natural flooring material. This provides a high level of customization, since laminate flooring can be made in any color, pattern, and replicate finish. If you are considering laminate flooring for your home, you’ve come to the right place. The information found below will go a long way in helping you to make an informed buying decision. Laminate flooring is a mostly synthetic flooring variety that is made up of several layers fused together using a laminate process. HPL laminate is a five layer laminate created when the top and bottom layers are treated separately, and then fused together to make a strong core. This core provides extra durability and stability. DPL is comprised of four layers and is not quite as strong, but still perfectly suitable for most residential applications. Regardless of the type, the bottom layer acts as the backing, allowing it to resist moisture and prevent warping. 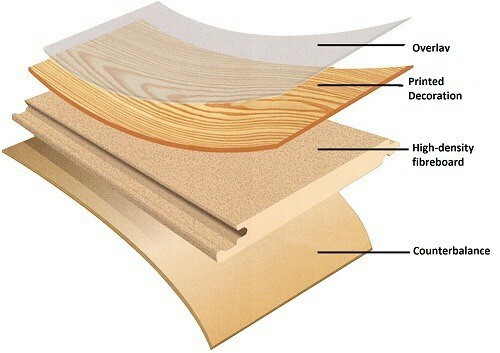 The next layers make up the inner core that is composed of high or medium density fiberboard. The layer on top of that is known as the image layer, which created to look like natural materials using high-definition technology and printing. The final layer on top is the wear layer, a transparent aluminum oxide material that protects the image layer from scratches, burns, impact, and other wear over time. The main appeal of laminate flooring is a result of its ability to mimic nearly any other flooring type in appearance. While early laminate flooring was available in a few basic colors and designs, modern laminate flooring can take the appearance of nearly any surface one desires. 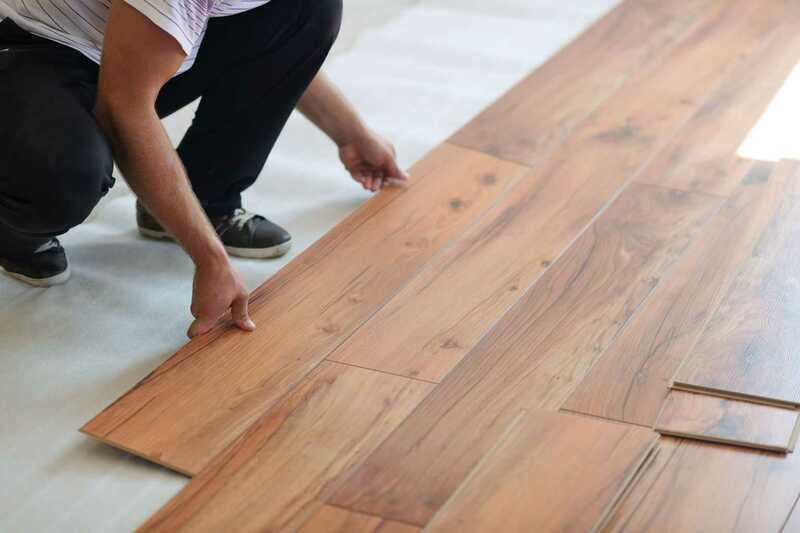 This allows for homeowners to install look of wood flooring, stone flooring, metal flooring, or really just about any other kind available, often for an inexpensive price and easy installation. The infinite versatility of laminate makes it suitable for any home. 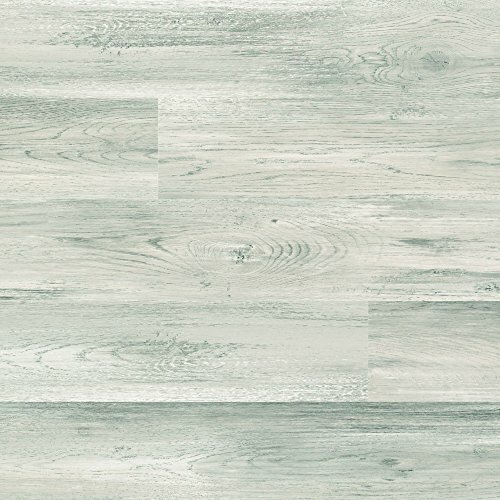 Those who are looking for a neat, clean, and modern look will appreciate white, black, and grey laminate varieties, while those that prefer a more vintage and distressed look can choose rustic laminate flooring for a more complex appearance. Laminate flooring can also provide convenience during installation with its ability to be installed on top of existing flooring. As long as the surface is flat, laminate flooring can be installed over it. In the event that you wish to remove your laminate flooring, you can do so without spending hours tearing it all up. 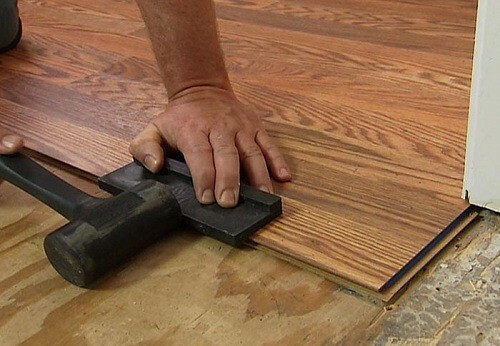 Since laminate flooring is rarely adhered to the floor below, removal is as simple as taking off your wall’s molding and trim, lifting up on the paneling, and discarding. The next important classification is AC rating. AC stands for Abrasion Class, a third party entity that has set specific ratings for Laminate flooring durability. The ratings span from AC1 to AC5. AC1 – This rating is suitable for residential areas that get the least amount of traffic and wear. Bedrooms, closets, and dens are good choices for AC1. 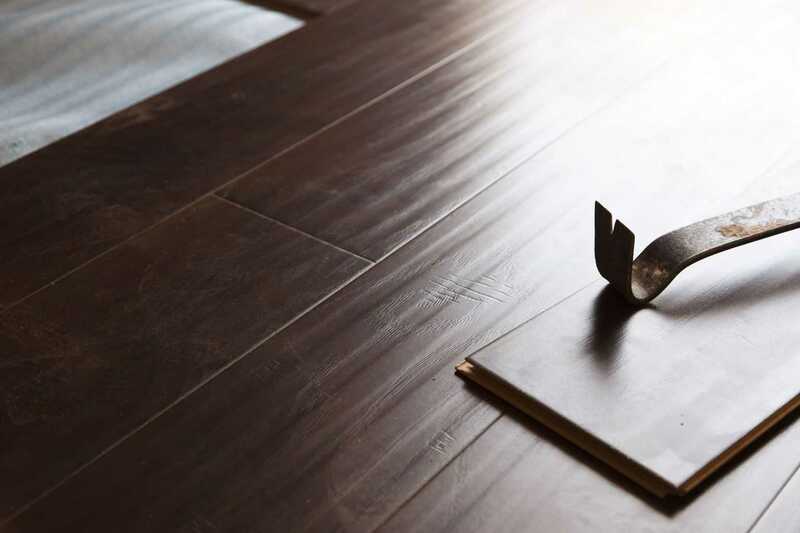 AC2 – Slightly more durable than AC1, this flooring can be used all throughout the home, and is especially useful for living rooms, hallways, and dining rooms. AC3 – Strong enough for light hotel and office use, but light enough for residential use, AC3 is a good middle ground laminate choice if you are unsure about the exact amount of wear anticipated, but know you need more than just the minimal amount of durability. AC4 – Often found in cafes, larger offices, and smaller stores, AC4 offer s high level of durability while maintaining a comfortable feel. AC5 – Reserved for the heaviest traffic areas, AC5 is utilized I some of the most high-traffic areas in the world, such as shopping malls, office high-rises, and arenas. The durability and versatility of laminate flooring offers numerous benefits to those who have it installed. Laminate flooring provides an allergy-free alternative to those who be bothered by dust and dander trapped in carpets. Laminate is non-porous, and easily cleans up with just some soap and water, making it easy to keep your home free of allergens lurking on and inside the flooring. The easy cleanup has a broad appeal as well. Many types of wood flooring can require refinishing and re-waxing over time. The same goes for tile flooring such as travertine and marble. Laminate flooring can offer the appearance of both, but with much easier maintenance. Laminate can be swept and vacuumed like other floors, and cleans up with either mild detergents or apple cider vinegar mixed with water. Laminate flooring with higher AC ratings is perfect for homes with children and pets. Spills and messes clean up easily, and the floor is difficult to damage by dropping something on it, or any other damage young children and pets can cause. Again, this is very beneficial to those who want the appearance of natural materials, but don’t want to risk having to replace them due to damage. Laminate flooring is perfect for most any part of the home, excluding high moisture and humidity areas such as a basement, bathroom, or kitchen. The surface of the flooring can stand up to these elements, but the backing and underlayment stand a good chance of warping if left exposed on a regular basis. Living rooms, dining rooms, bedrooms, offices, and foyers are just a few of the perfect locations to install laminate flooring. This gives you versatility with your decor, while also providing durable and lasting material. Because of this, laminate flooring makes it easy to give each room its own identity. Until recently, waterproof laminate flooring was virtually impossible to create, but several companies have now engineered ways to keep the fiberboard core dry, opening up numerous possibilities for other locations such as bathrooms, kitchens, and even basements. 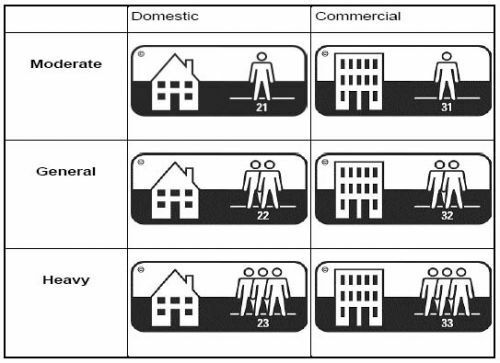 The surface type options for laminate flooring can be grouped into four different categories. Smooth – This is the most basic of varnish surfaces. The smooth surface lacks any texturing or variance, and is often available in low, medium, and high gloss finishes. This look is suitable for those wanting a plain, solid color. 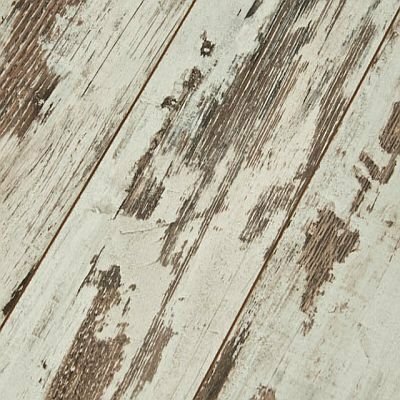 Distressed – The appearance of distressed laminate is very similar to antiqued floors and vintage flooring that has achieved a measure of character over the years from wear and tear. 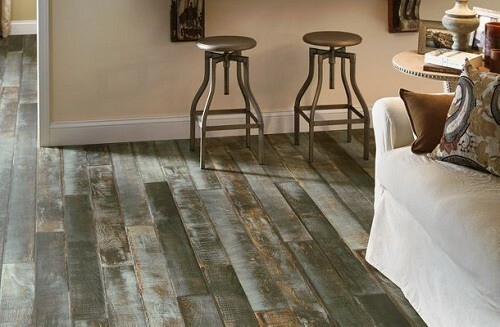 Distressed laminate offers this look, but without the decades-long wait and structural liabilities. 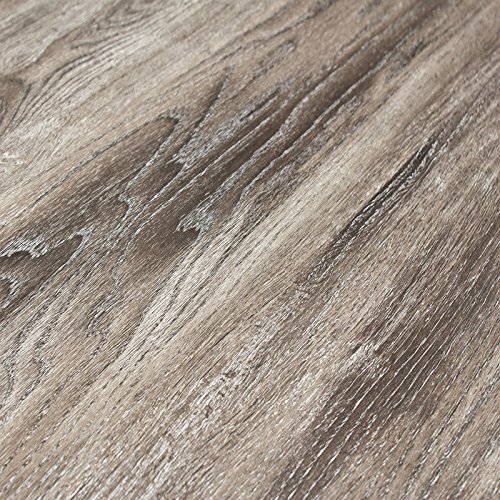 Embossed – If you’re looking for a realistic textured look, this laminate is for you. Embossed laminate can trick the eyes into thinking that they are seeing grains and details that aren’t actually there. Embossed in Registration – Perhaps the most realistic of them all, this surface contains a high level of detail that can match the grain appearance of high-quality wood flooring. Laminate flooring is relatively easy to install regardless of the method you choose. These are the three types of installation available. 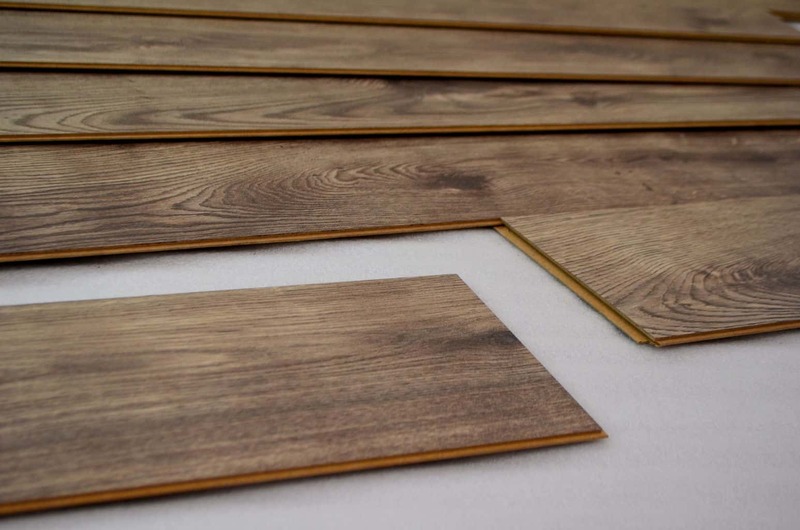 Glued Laminate – This type of laminate requires a similar installation to engineered wood flooring, with the main difference being the fact that you are installing panels as opposed to individual boards. With Glued Laminate. Each joint must be glued together before interlocking it with the next piece. Pre-Glued – This uses the same concept as glued laminate, but the joints have an adhesive already applied to them. Simply moisten the joints and attach other panels together. This saves time during installation, while also reducing the mess and chances of applying the glue wrong. Glueless Click – Installation of glueless click laminate is by far the easiest. This laminate type forgoes glue altogether in favor of interlocking panels that snap together. As far as underlays go, laminate panels vary. Some types come with an attached underlay pad, while others allow the homeowner to decide whether or not they’d like to use it. If there is a possibility of moisture coming from under the flooring, underlayment is recommended. 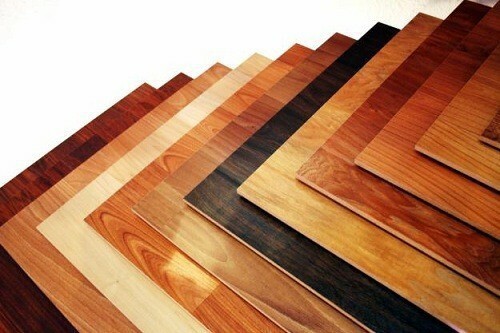 Listed below is just a small sample of the many different varieties laminate flooring can be manufactured to resemble. Laminate flooring designed with the look of hardwood flooring is easily one of the most popular uses. 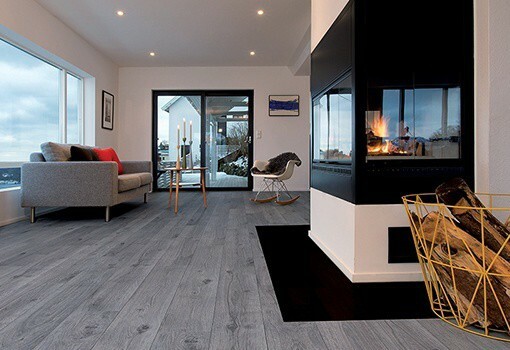 Wood flooring is one of the most alluring and detailed flooring choices available, but several factors prevent many from installing it in their home. 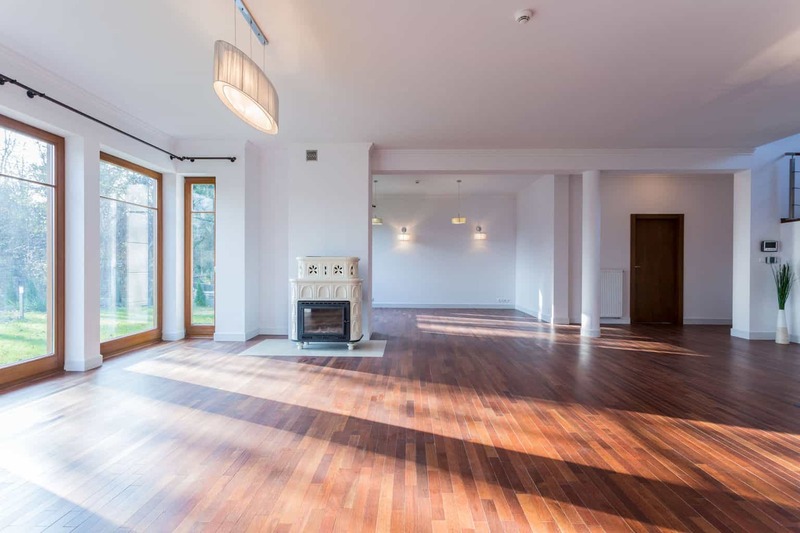 The installation process itself is rather complicated, and the additional upkeep and refinishing required to keep the floors in prime condition can be both costly and burdensome. Maple laminate flooring, pine laminate flooring, cherry laminate flooring, and oak laminate flooring are just a few examples of high-end flooring options available at not only a cheaper price, but lacking all the usual upkeep and wear as well. Hot and humid climates can be damaging to hardwood flooring, so laminate provides those who want the aesthetic appeal of hardwood flooring without risking damage to their investment. Tile flooring provides sophistication and elegance for homes, but the tiles themselves can often be fragile in the event of impact, not to mention being both tricky and messy to install. Laminate flooring offers a much more durable option, while still retaining the customized look of any tile type you could ever want. Textured laminate flooring an be made to resemble any tile pattern you want, with the added benefit of being much easier to install, especially when opting for glueless click laminate. Stone flooring is one of the most detailed and natural forms of flooring available. 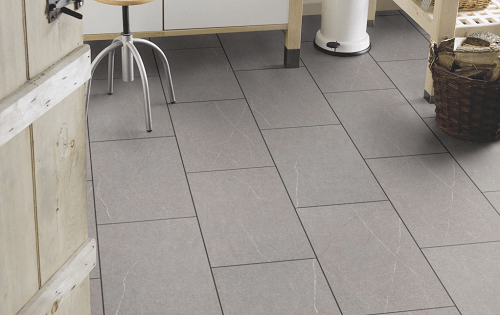 Although stone flooring offers many characteristics not found in other types of flooring, the installation can be difficult, and the flooring itself can be expensive, with a high amount of maintenance required to keep its optimal look. Laminate stone flooring can be used in its place, giving your property the appearance and style of stone flooring such as marble, granite, and limestone, but without the frequent refinishing and cleaning that comes from having porous material under your feet. Bamboo flooring provides a very unique and organic aesthetic with subtle differences from wood, but the flooring itself tends to wear easily, along with being higher in price. Laminate flooring can be created to look exactly like the bamboo flooring you’ve always wanted, saving you money and worry from premature wear in the process. When choosing the right laminate flooring for your home, there is no right or wrong answer. Laminate flooring that has a higher AC rating is going to cost you more, but it may not be necessary. From there, the next factor is determining the traffic amount. If you are wanting new flooring for your bedroom, a rating higher than AC2 is not needed. If you are renovating your kid’s playroom, a rating of at least AC3 should be used. The multiple durability ratings and endless style options present homeowners with all the factors they need to custom tailor flooring for each room of their home. It’s all up to you – and that’s the beauty of laminate. As you can see, laminate offers numerous flooring styles for a cheaper price. Laminate flooring is always dependent on a combination of factors, including square footage of the home, the AC rating, and type of flooring. According to Home Advisor, you can expect to pay as low as $700 and as much as $6,000 for a full installation, but the average lies somewhere in between $1,581 and $4,290. Installing it yourself can cut down on the cost significantly. As a verb it means to bond together in layers, while as a noun, it refers to a material that is produced by bonding together layers of material. For flooring, “laminate” is a family of products in which a finish material is fused to a substrate. Laminates can resemble many things, including wood, stone (like marble, slate, or flagstone), tile, or a solid surface of color (though that’s usually saved for countertops). Laminate flooring is typically made with an interlocking tongue-and-groove system that sometimes clicks together and sometimes glues together. It can be pre-finished at the factory or finished after installation. It can be installed on any surface and in any room of your house, including wet rooms like the kitchen and bath. Laminate flooring consists of four main laminated components. First, the decorative surface — wood grain or stone look — made of resin is based melamine or a thin slice of wood. In the middle is a moisture-, heat- and dent-resistant core. On the underside is a balanced backing that adds support. The top is a clear, wear-resistant finish, often of aluminum oxide, which provides the protection and stain resistance. Laminate flooring has a hardness factor, assigned by independent testing labs, reported on an AC scale. The AC rating considers resistance to staining and cigarette burns, impact, abrasion, and thickness swelling along plank edges. You want either AC-3 or AC-4; AC-3 is made for heavy residential and light commercial use. AC-4, which is 60% heavier than AC-3, is rated for heavier commercial use but is also fine in homes. Pergo, a Swedish flooring company, developed the idea of a laminate floor out of their laminate countertop business, in 1977, introduced it to Europe in 1984 where it has grown in popularity ever since. It was introduced in 1994 to the U.S. where it spread quickly. Now there are numerous companies manufacturing laminate flooring, though Pergo has become the household word for the product. Durability is one reason to not choose a laminate floor. Laminate flooring is tough, but by its nature of being made of thin layers it’s not as durable as wood, tile or stone flooring. It can’t be refinished when it gets scratched and the scratches can’t be easily camouflaged. When a laminate plank is damaged it’s challenging to repair it, though with the repair kits you can get from the manufacturer it can be patched. In some cases, you can take the floor up and replace the damaged plank. The cost of installed laminate flooring can be cheaper than wood floors, making it one good reason to consider. Speed of installation from start to finish is faster than wood floors. It’s because it comes pre-finished, removing the additional step of coating the surface with a protective seal, and because it isn’t nailed down. It can be noisy to walk on, sounding a bit hollow. Environmental concerns are worth evaluating as well. Trees, though a renewable resource, are very slow growing, and using them for floors consumes quite a bit of natural resource. Laminate floors, on the other hand, use manufactured materials (often from scraps of wood, cardboard, or paper) which are more abundant, being gentler on the environment. Health issues are still another consideration in purchasing laminate flooring. Some laminate floors are off-gassed at the factory, saving your home or office from the health-challenging fumes. 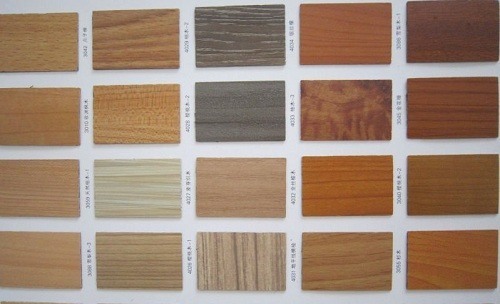 The quality of laminate flooring varies, along with the contents. Some products are made with more urea-formaldehyde and high volatile organic compounds (VOC) ingredients while others are made with low VOC ingredients. If the off-gassing is handled at the factory, you are in better shape. The top choice for this article is the Timeless Designs Wirebrushed Grey Laminate Flooring, though many of these options have been highly praised by customers. It offers a great aesthetic that will work in a number of décor situations. Furthermore, it's easy to install and resistant to water so you won't need to worry too much about water damage as long as you are careful. Second to that, the lighter oak options can help to create a lighter, brighter space that can really bring together the look of the room.